June 5th is the day we celebrate the hot air balloon. And, what better day to share this wonderful children’s book illustration with you. 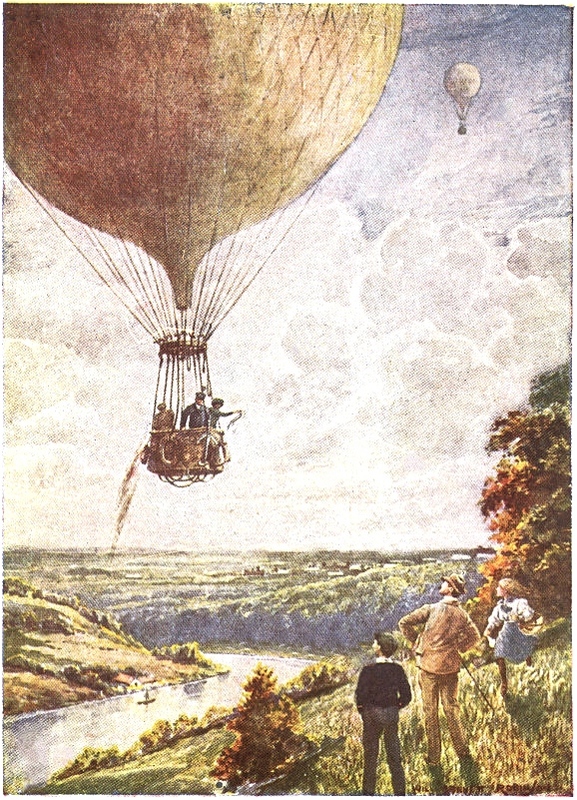 The first untethered manned hot air balloon flight was performed by Jean-François Pilâtre de Rozier and François Laurent d’Arlandes on November 21, 1783, in Paris, France. It wouldn’t be to almost 10 years later that the first human rose into the clouds aboard one; making it the first time a human safely took flight. In this vintage hot air balloon drawing we have two balloons traveling across the sky as a dad and his two children look on in wonder. How exciting it must have been during the Victorian era (when I think this illustration was made) to see people standing in a basket and floating past. I know it still excites me all these years later.